The cop flick, both directed by and starring Nick Cheung, will hit cinemas across China on April 28. 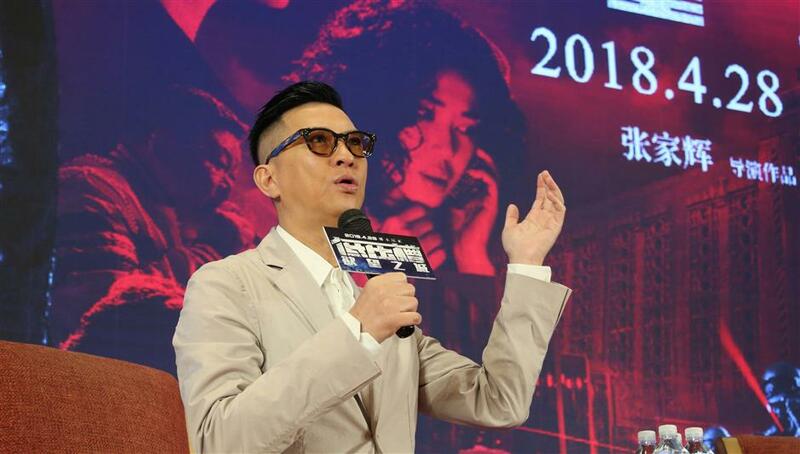 Nick Cheung talks about his new film "Taste of Crime" in Shanghai. The cop flick, both directed by and starring Cheung, will hit cinemas across China on April 28. It tells the story of an undercover cop who risks his life fighting against a mysterious crime gang. The protagonist of the film is in self exile, but after spending some time reflecting on his responsibility, he decides to return and do what he can to stop the crime. Cheung’s credits include Best Actor awards at the Hong Kong Film Awards, Taiwan’s Golden Horse Awards and the Asian Pacific Film Festival.